Trump Administration Blocks Major League Baseball Deal For Cuban Players The deal would have allowed certain Cuban players to sign and play for U.S. and Canadian major league teams without having to defect. The Trump administration has canceled a deal between Major League Baseball and the Cuban Baseball Federation that would have allowed Cuban players to join professional teams in the U.S. and Canada. Under the four-month-old agreement, a major league club seeking to sign certain Cuban players would have to pay a release fee – 25 percent over the player's signing bonus – to the Federation. The player would also have to pay Cuban income taxes on foreign earnings. The deal, which was initially negotiated under President Barack Obama, met with immediate opposition from the Trump administration. 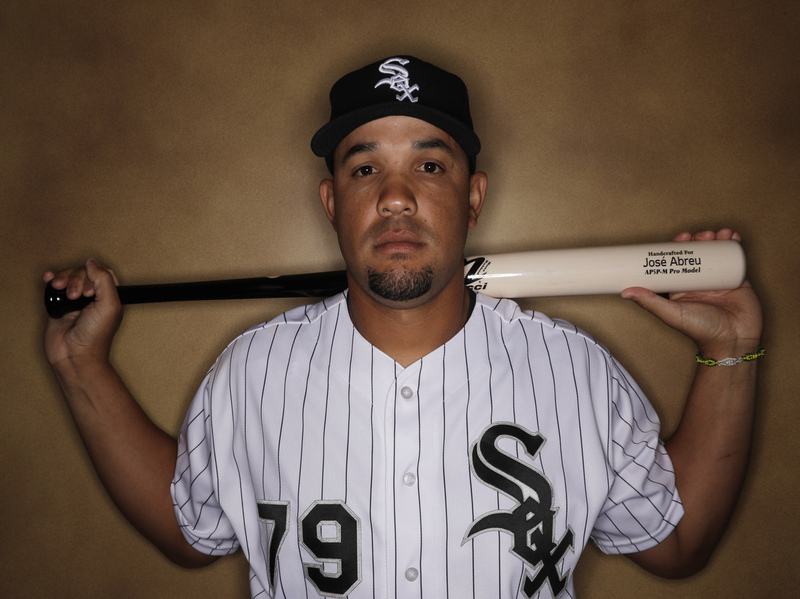 Jose Abreu of the Chicago White Sox, seen in 2017, was one of the Cuban players who survived a risky, secret journey to the U.S. to play baseball. It was designed to end the often dangerous pattern of ambitious Cuban stars seeking to join the major leagues by defecting and arranging to smuggle themselves out of Cuba with the aid of human traffickers. Under the agreement, Cuban players may return to the island during the off-season, unlike those who defect. A senior administration official, speaking on the condition of anonymity, said in a briefing that the agreement itself was a form of "human trafficking" by the Cuban government and that the Cuban Baseball Federation is a subsidiary of the Cuban government. "We look forward to the day that Cuban baseball players can fully contract with Major League Baseball like players from every other country in the world and not as pawns of the Cuban dictatorship," the official told reporters. Major League Baseball defended the plan. "We stand by the goal of the agreement, which is to end the human trafficking of baseball players from Cuba," said league vice president Michael Teevan, in a emailed statement. The administration blocked the baseball deal just a few days after the Cuban federation released the names of 34 players eligible to sign with MLB teams. Cuban players older than 25 years old and with six years of experience were eligible for the arrangement. Younger players were required to get the Cuban Baseball Federation's blessing to play for MLB teams. "The agreement with #MLB seeks to stop the trafficking of human beings, encourage cooperation and raise the level of baseball," the Cuban Baseball Federation said in a message on Twitter as quoted by Reuters. "Any contrary idea is false news. Attacks with political motivation against the agreement achieved harm the athletes, their families and the fans." Some Florida lawmakers had opposed the baseball agreement for being an accommodation with the Cuban government. Republican Sen. Marco Rubio, in December, called the deal "both illegal and immoral." Among the Cuban-born players who have defected and struck it rich signing with MLB clubs in recent years are Jose Abreu of the Chicago White Sox, Yoenis Cespedes of the New York Mets and Yasiel Puig of the Cincinnati Reds.